Know the Best Days to Make Your Move? Astrology and Tarot readings do not determine fate. Understanding future planetary events allows us to make choices to use certain energy wisely. My Tarot readings give a snapshot of the current energy surrounding a person or situation, indicating where it will lead if no changes are made along the way. Knowing what is on the horizon allows us to make wise choices, using the energy available to us all. 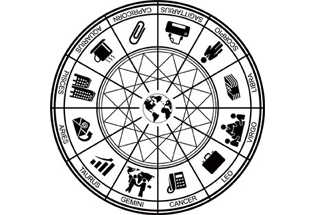 Many world leaders over the centuries have consulted astrologers and diviners when making big, and small, decisions. Nancy Reagan consulted astrologers over the years. After her husband, President Ronald Reagan, was shot in an assassination attempt, the executive office didn’t make any important moves without first consulting their favorite astrologer. 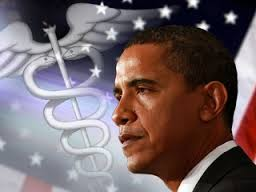 Had President Obama consulted a professional astrologer, he would have known that launching a new website (healthcare.gov) in the middle of Mercury retrograde was a bad move (astrologers all over the U.S. were probably shaking their heads on the day of rollout). Had he launched the site later in November, or earlier in September, the problems experienced may have been minimal compared to what actually occurred with site crashes, etc. As an instructional designer and corporate trainer, I found it easier to conduct classes after having my students place their birth date (month/day – not year) on the corner of their name tents. Knowing their birth dates allowed me to correctly anticipate the needs of each student. For example, I knew the Aquarians, born in early February, would probably run ahead of the class; whereas, my Taureans may need to be shown a few different examples of how to get the job done. That’s not to say that Aquarians are smarter than Taureans – it simply means they have different learning tendencies. A corporate consultation can also include detailed astrogy reports of employees, giving management tools for interacting with different personality types. Sharing the information with the employees offers them a better of idea of their strengths and weaknesses, giving them opportunities to build on both. I offer discreet combined astrology and psychic card reading services for professionals looking to ensure they make the right moves at the most auspicious times possible. I work with CEO’s, management teams and individual employees to help them make smart business choices and better interact with team members. If you’re interested in a private personal or business consultation, please contact me using the form below. Pricing is determinant on business and personal needs. Please choose your information request.